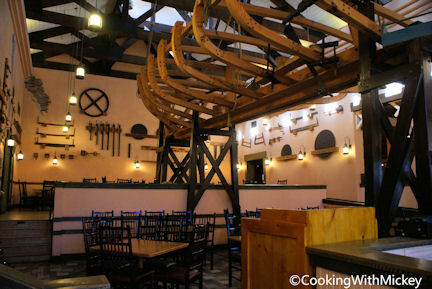 Located at Disney's Port Orleans Riverside, Boatwright's Dining Hall offers Southern food that highlights New Orleans. Favorites include crawfish bites, Jambalaya and New Orleans bread pudding. You can even get Abita, a Louisianan beer.